FedEx is going green by testing four all-electric, zero emission delivery vans in the Los Angeles area next month. 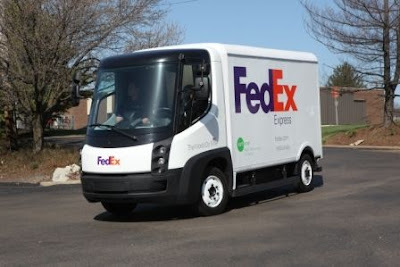 Frederick W. Smith, Chairman, President and CEO of FedEx, took the vehicle to Capitol Hill to show Congress the potential for converting corporate fleets to clean energy. "There is truly only one way to end our nation's dangerous dependence on petroleum, and that is by ending oil's chokehold on our transportation system," Smith testified.